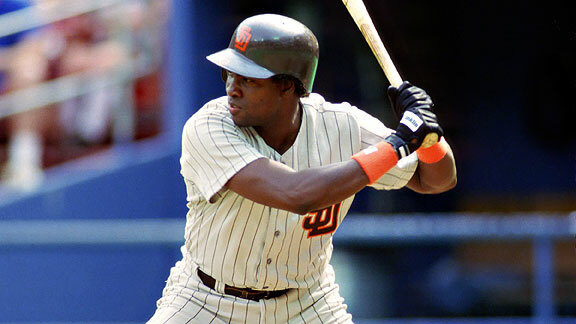 Mr. Padre played his entire big league career in San Diego, totaling 20 years. He collected 200 or more hits in five seasons, and led the National League in hits seven times. He also had a career .338 batting average, and is currently 19th on the career hits list (3,141). He struck out only 434 times in 9,288 at-bats, and even had 56 stolen bases in 1987.